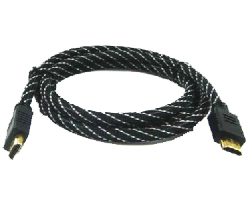 High Speed ​​HDMI Cable with Ethernet. 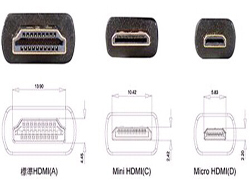 HDMI A Type with 19 pins in total is the most common HDMI connector specifications. It relatively equals to DVI Single-Link transmission. The maximum transmission size only lies in 1600x1200 (TMDS 162.0MHz). HDMI 1.3 Rev supports EDID, DDC2B. 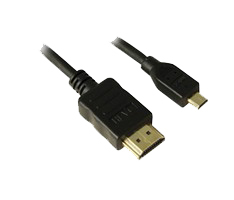 The volumn of HDMI interface is much smaller compared with DVI. This can effectively solve the problem of the tangled mess connections behind a home entertainment system. DMI is a flat interface of digital audio mixing. 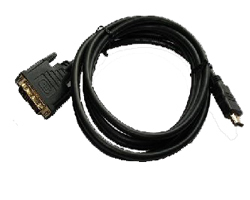 DVI is a more common digital video interface (excluding audio) in computer. You need this adapter if you want to connect the HDMI interface of notebook.